Creating a classroom atmosphere of tolerance, understanding, and constructive criticism remains a constant challenge. 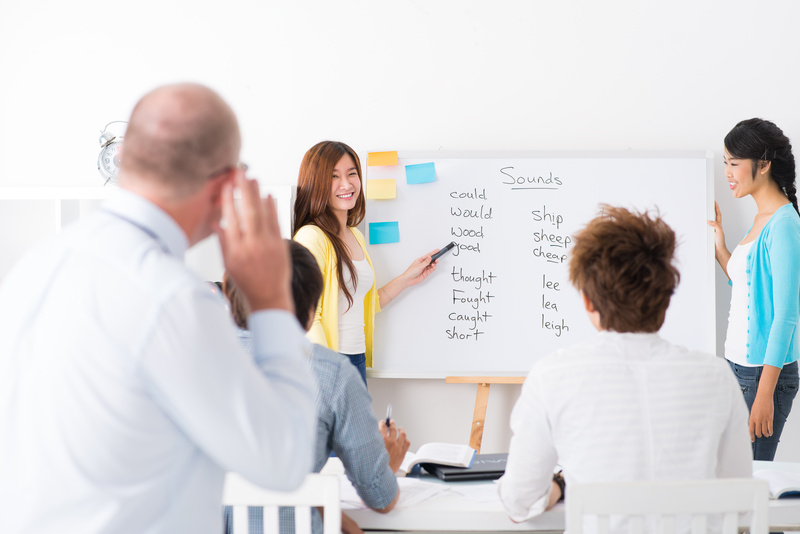 How do you help your ESL students recognize their errors in speaking English? What feedback techniques do you use to make their mistakes “psychologically real” to them? One technique I’ve found effective may seem rather counter-intuitive: encourage them! While I have never consciously “celebrated” mistakes, I do consistently encourage students to make “good mistakes.” I define these as natural errors that we can learn from and improve on, gradually making new, different, and better mistakes. Camera and video technology, correctly deployed, can be a great tool in helping students acknowledge and amend these errors. I find videotaping English students incredibly effective, since they can watch their own presentations or discussions. Sometimes having students transcribe their own speech yields surprises, but such rigorous examination is often a last resort. Many times, students see where they have made verb tense errors, searched for vocabulary, or used the wrong word form on their own. Uploading these recordings to a class website further encourages self-awareness and reflection. Seeing, in this case, is often believing. 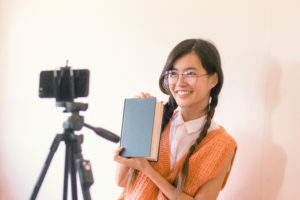 Moreover, videotaping student presentations makes our classrooms more democratic, allowing students to share their progress with friends and relatives beyond the classroom if they choose. Sometimes English language learners, recognizing that they can share their work outside the classroom and reach core peer audiences, will practice more than usual. As ESL students step up their game and perform for the camera, they sometimes make fewer mistakes – and excel! 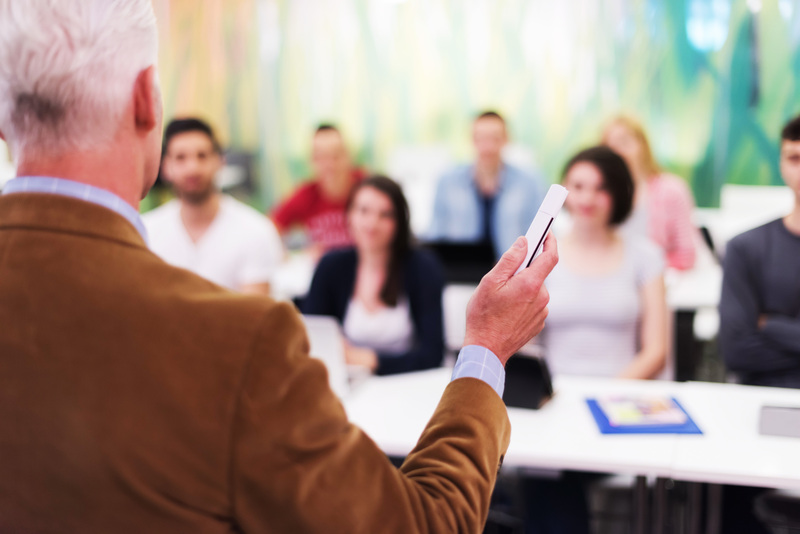 By the way, the proliferation of smart phones with exceptional camera also means students can videotape both their presentations – and their practice presentations. With many of my graduate students, I only have to suggest the idea once and they will make recording their practice presentations to prepare for their classroom presentations. And if students, as usual, do make mistakes? Let’s call that a learning opportunity. “Don’t be afraid to make a mistake,” advised legendary Sony Chairman Akio Morita. “But make sure you don’t make the same mistake twice.” While learning English requires us to be more understanding and patient of “good mistakes”, this quote emphasizes the value of making mistakes – outside and inside our English classrooms. Recording student presentations allows you, however, to record students study and learn specific sounds whether a missing final “s” or a clearer opening sound like “th”. You can also direct students to www.YouGlish.com to hear authentic examples of words that were hard to understand or lack clarity. How many good mistakes must English students make on the road to English fluency? Who really knows? Yet students will get to their linguistic destination sooner if they start more making good mistakes in our English classes today. Staying silent out of fear of making mistakes almost guarantees students will never become fluent English speakers. The video allows our students to see – and learn – from that bad mistake too. Do you record your students’ presentations? Do you share them with students? How? If not, what are some alternative approaches to error correction you consider successful? How have they affected classroom participation and morale? Looking for further activities to get your college-level ESL students talking? Check out our free reproducible worksheet, Adding Your Voice to College Class Discussions and our Search and Share collection from Compelling Conversations – Japan, available as an ebook through Amazon Kindle!